Use these miniature red and white gift enclosures to leave personal notes in your gifts. These die cut, scalloped envelopes are a Cheree Berry Paper signature. 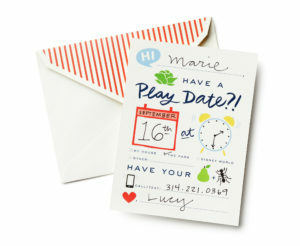 The special notes are perfect for the holiday season but can also be used year round. Ready, set, wrap!